Annie Besant – British socialist, theosophist, women’s rights activist, writer, orator, and supporter of both Irish and Indian self-rule. 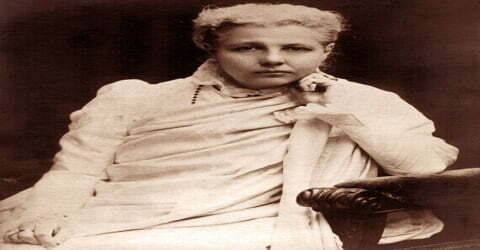 Annie Besant was born on1st of October in 1847 to the Emily Morris and William Wood in London, U.K. She was a political reformer, women’s rights activist, theosophist and Indian nationalist. She was the leading women figure of the late 19th and early 20th century who actively fought for different causes such as secularism, birth control, Fabian socialism, women’s rights, and workers’ rights. However, Annie’s increasingly anti-religious views led to their legal separation in 1873. She then became a prominent speaker for the National Secular Society (NSS), as well as a writer, and a close friend of Charles Bradlaugh. In 1877 they were prosecuted for publishing a book by birth control campaigner Charles Knowlton. The scandal made them famous, and Bradlaugh was subsequently elected M.P. for Northampton in 1880. Besant, early in her life, switched to anti-religious views which led her to work tirelessly as a reformist and secularist. She constantly questioned the status of Church of England and demanded a secular state through her write-ups, columns and public speeches. Besant first came to limelight with her birth-control campaign alongside reformer Charles Bradlaugh. Soon, she became a prominent Fabian socialist but shortly afterward converted to theosophy. As a member and later President of the Theosophical Society, Besant helped to spread Theosophical beliefs around the world, notably in India. In 1893, she first visited India and soon became involved in the Indian national struggle for freedom. Till the end of her life, she actively campaigned for Indian independence and causes of theosophy. In 1898 she helped establish the Central Hindu College, and in 1922 she helped establish the Hyderabad (Sind) National Collegiate Board in Mumbai, India. In 1902, she established the first overseas Lodge of the International Order of Co-Freemasonry, Le Droit Humain. Over the next few years, she established lodges in many parts of the British Empire. In 1907 she became president of the Theosophical Society, whose international headquarters were, by then, located in Adyar, Madras, (Chennai). 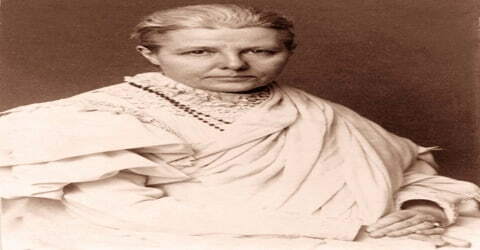 Annie Besant also became involved in politics in India, joining the Indian National Congress. When World War I broke out in 1914, she helped launch the Home Rule League to campaign for democracy in India, and dominion status within the British Empire. This led to her election as president of the India National Congress, in late 1917. In the late 1920s, Besant traveled to the United States with her protégé and adopted son Jiddu Krishnamurti, who she claimed was the new Messiah and incarnation of Buddha. Krishnamurti rejected these claims in 1929. After the war, she continued to campaign for Indian independence and for the causes of theosophy, until her death in 1933. 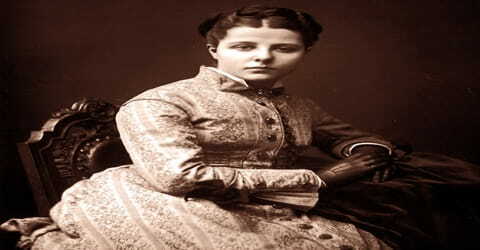 Annie Besant, the daughter of William Wood and Emily Morris, was born as Annie Wood on October 1, 1847, in Clapham, London in a middle-class family of Irish descent. Annie’s father, a doctor, died when she was only five years old. Following the death of her father, young Annie was kept under the care of her mother’s friend Ellen Marryat due to the family’s lack of financial means. Under the guardianship of Marryat, Annie secured good education. Annie was given a strong sense of duty to society and an equally strong sense of what independent women could achieve. As a young woman, she was also able to travel widely in Europe. There she acquired a taste for Roman Catholic color and ceremony that never left her. She was getting a part-time study at the Birkbeck Literary and Scientific Institution. She always fought for the reasons which she thought right. In the late 1880s, Annie studied at the Birkbeck Literary and Scientific Institution, where her religious and political activities caused alarm. At one point the Institution’s governors sought to withhold the publication of her exam results. 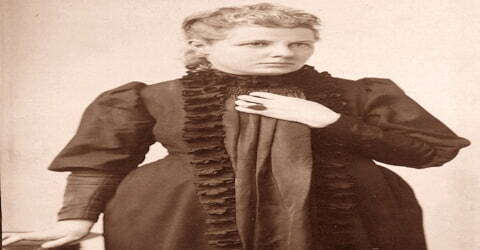 In 1867, at age 20, Annie married 26-year-old clergyman Frank Besant (1840–1917), younger brother of Walter Besant. He was an evangelical Anglican who seemed to share many of her concerns. Following Frank Besant’s appointment as the vicar of Sibsey, the couple moved to Sibsey, Lincolnshire. They were blessed with two children, Arthur and Mabel. On the eve of her marriage, she had become more politicized through a visit to friends in Manchester, who brought her into contact with both English radicals and the Manchester Martyrs of the Irish Republican Fenian Brotherhood, as well as with the conditions of the urban poor. Annie and Frank’s marriage did not last long due to their polarized opinions. The two had major conflicts over finances, political and religious beliefs and freedom. They separated in 1873. Digby, the son, stayed with his father, and Mabel went to live with Annie in London. Post the publication of the scandalous book on birth control, she lost custody of her children as Frank Besant proved in court that she was unfit to take care of them. After her divorce, Besant developed a close friendship with prominent politicians including Charles Bradlaugh, George Bernard Shaw, and Edward Aveling. She founded the Central Hindu College at Benares (Varanasi) in 1898. And herself received a degree in Sanskrit literature, English literature and Indian history from this institution. She continued to write letters to British newspapers arguing the case for women’s suffrage (i.e. voting rights) and in 1911 was one of the main speakers at an important Suffrage rally in London. 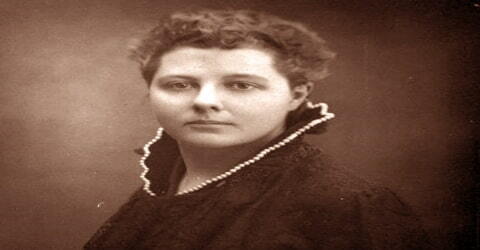 Post marriage, Besant explored her writing skills and started penning short stories, articles, and books for children. Over the course of her marriage, she became more and more radical in her views. She began to question her faith and stopped attending the Communion as she no longer believed in Christianity. The conflicting opinion between Annie and Frank led the couple to part ways in 1873. Eventually, she left for England with her daughter Mabel. She undertook part-time study at the Birkbeck Literary and Scientific Institution. 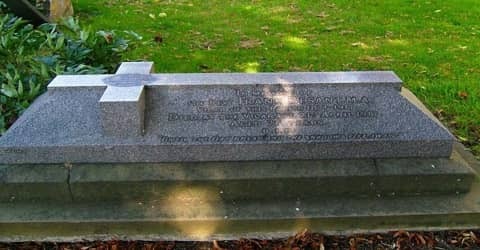 She was the best friend of the leader of the society, Charles Bradlaugh and she worked together with him on many issues as well as she got nominated as the Member of Parliament for Northampton. Both, she and her friend published a book by the Charles Knowlton (the American birth-control campaigner). In the meantime, Besant made a close relation to the Irish Home Rulers in order to help them in her newspaper columns in their crucial years. 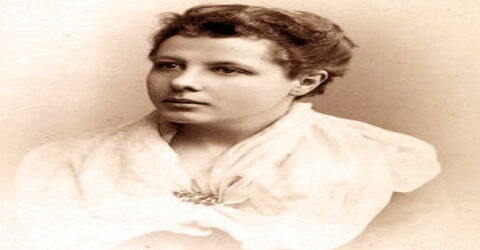 Annie Besant started penning articles that attacked the Church. She openly condemned the status of Church citing it as a state-sponsored faith. In the 1870s, she began writing a small weekly column in the NSS newspaper, National Reformer. Both NSS and Besant had a singular goal – to establish a secular state and end the special privilege enjoyed by Christianity. In 1877 Annie Besant and Charles Bradlaugh decided to publish The Fruits of Philosophy, Charles Knowlton’s book advocating birth control. Besant and Bradlaugh were charged with publishing material that was “likely to deprave or corrupt those whose minds are open to immoral influences”. In court they argued that “we think it more moral to prevent the conception of children than after they are born, to murder them by want of food, air, and clothing.” Besant and Bradlaugh were both found guilty of publishing an “obscene libel” and sentenced to six months in prison. At the Court of Appeal, the sentence was quashed. After the court-case Annie Besant wrote and published her own book advocating birth control entitled The Laws of Population. The idea of a woman advocating birth-control received wide-publicity. Newspapers like The Times accused Besant of writing “an indecent, lewd, filthy, bawdy and obscene book”. Rev. Besant used the publicity of the case to persuade the courts that he, rather than Annie Besant, should have custody of their daughter Mabel. On 6 March 1881, she spoke at the opening of Leicester Secular Society’s new Secular Hall in Humberstone Gate, Leicester. The other speakers were George Jacob Holyoake, Harriet Law, and Charles Bradlaugh. Bradlaugh’s political prospects were not damaged by the Knowlton scandal and he was elected to Parliament in 1881. Because of his atheism, he asked to be allowed to affirm rather than swear the oath of loyalty. When the possibility of affirmation was refused, Bradlaugh stated his willingness to take the oath. But this option was also challenged. Although many Christians were shocked by Bradlaugh, others (like the Liberal leader Gladstone) spoke up for freedom of belief. It took more than six years before the matter was completely resolved (in Bradlaugh’s favor) after a series of by-elections and court appearances. Besant political thinking drifted as she became more and more influenced by the Socialist organizations. She developed close contact with Irish Home Rulers, speaking in favor of Irish peasantry and rebuking landowners. During this time, she befriended George Bernard Shaw, an Irish author. Eventually, she started writing and giving public speeches on Fabian socialism. Annie Besant has joined the Fabian Society and she has started to write for the Fabians. She had actively involved in the London matchgirls strike in 1888. She set up a committee of the woman for the strike purpose for better pay and conditions. The protest earned great public support and eventually led to improved working condition and heightened pay. In 1887, she appeared as a public speaker at the protest held at Trafalgar Square held by London unemployed group. The day is recorded in history as Bloody Sunday, as it led to death and arrest of hundreds of people. In 1888, Besant joined Marxism and eventually became its best speaker. The same year, she was elected to the London School Board. During this time, she also became actively involved in the London Dock Strike. Much like the matchgirls strike, it too gained much public support. In 1884, Besant made a close relationship with a young socialist teacher, the Edward Aveling. Soon, she has joined the Marxists and then stood for the London School Board election. She was also concerned with the London Dock Strike in the 1889 and participated in many important meetings and demonstrations organized by the organization. Besant was a very creative writer and an influential orator. She was invited for review writing for the Pall Mall Gazette on The Secret Doctrine (a book by H.P. Blavatsky) in the year of 1889. Just after an interview by the author of the book in Paris, she gets converted to the Theosophy. She then broke her links to the Fabian Society and the Marxists in 1890. After the death of the author of the book, Blavatsky in 1891, she left as only one Theosophy’s leading figures and she symbolized it at the Chicago World Fair. She went India first time as a Theosophical Society member and took part in India’s freedom and progress. Besant also joins the socialist group, the Fabian Society, and in 1889 contributed to the influential book, Fabian Essays. As well as Besant, the book included articles by George Bernard Shaw, Sydney Webb, Sydney Olivier, Graham Wallas, William Clarke, and Hubert Bland. Edited by Shaw, the book sold 27,000 copies in two years. 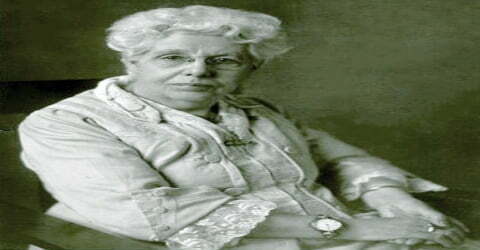 Annie Besant saw Freemasonry, in particular, Co-Freemasonry, as an extension of her interest in the rights of women and the greater brotherhood of man and saw co-freemasonry as a “movement which practiced true brotherhood, in which women and men worked side by side for the perfecting of humanity. She immediately wanted to be admitted to this organization”, known now as the International Order of Freemasonry for Men and Women, “Le Droit Humain”. The link was made in 1902 by the theosophist Francesca Arundale, who accompanied Besant to Paris, along with six friends. “They were all initiated, passed and raised into the first three degrees and Annie returned to England, bearing a Charter and founded there the first Lodge of International Mixed Masonry, Le Droit Humain.” Besant eventually became the Order’s Most Puissant Grand Commander and was a major influence on the international growth of the Order. In 1908, Besant served as the President of the Theosophical Society. Under her leadership, she stressed on the teachings of the Aryavarta. She also opened a new school for boys, The Central Hindu College. Along with the Lokmanya Tilak In 1916, she has launched the Home Rule League. She became the President of the Indian National Congress in December for one year. She worked hard on the campaign for India’s independence and has created various letters and articles demanding the independence of India. In April 1911, Besant met Pandit Madan Mohan Malaviya and they decided to unite their forces and work for a common Hindu University at Banaras. Besant and fellow trustees of the Central Hindu College also agreed to Government of India’s precondition that the college should become a part of the new University. The Banaras Hindu University started functioning from 1 October 1917 with the Central Hindu College as its first constituent college. In 1917, she was arrested for protesting against British rule. Interestingly, different Indian nationalist groups from all over the country protested against her arrest which eventually led to her release. Her release strengthened Indian belief of freedom from British Raj and self-governance. Besant actively worked for the cause of worker’s right and women’s rights. She played a crucial role in the London matchgirls strike of 1888 and London Dock Strike. In both the cases, she helped alleviate the standard of working and assisting in increased pay. Posthumously, a neighborhood near the Theosophical Society in Chennai is named after her, Besant Nagar. After her death, colleagues Jiddu Krishnamurti, Aldous Huxley, Guido Ferrando, and Rosalind Rajagopal, built the Happy Valley School in California, now renamed the Besant Hill School of Happy Valley in her honor. In 1931, she became severely ill. She breathed her last on September 20, 1933, at age 85, in Adyar, Madras Presidency, British India. Her body was cremated. She was survived by her daughter, Mabel. During her Presidency of Theosophical Society, she served as the legal guardian of Jiddu Krishnamurti and his younger brother Nityananda. Her bond with Jiddu Krishnamurti grew so strong that he eventually considered her as his surrogate mother. Annie Besant was a great and courageous lady who has been titled as a freedom fighter as she fought for many wars to help people to get their real freedom. She was deeply involved in the Indian Independence movement and continued her campaign to make India an Independent country. She loved the Indian people culture, tradition and understand their beliefs as she was a writer and speaker. She made India her own country in 1893 and started awakening Indian people from deep sleep through her loud speech. Once, Mahatma Gandhi said about her that she awakened Indian people from their deep sleep.